Ducati has delivered its most exclusive 1299 Superleggera to motorcycle enthusiast Vikram Oberoi. Ducati claims that that Superleggera is the greatest expression of engineering, technology and performance ever put into mass production by a motorcycle manufacturer. 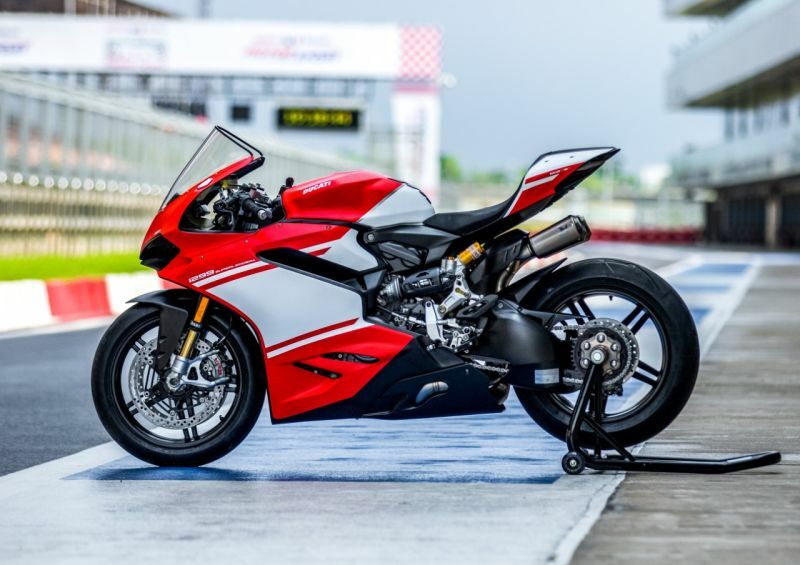 In case you are considering to purchase this super bike, do think again as the 1299 Superleggera is priced at a staggering amount of Rs 1.12 crore (ex-showroom Delhi) in India, with only 500 units produced, which have already been sold out! Quite a creation on wheels, the Ducati 1299 Superleggera makes 215 PS, weighs just 156 Kg and is the most powerful factory twin-cylinder ever built by the Italian manufacturer. Ducati has also included a complete electronics package including Ducati Traction Control Evo (DTC EVO), Ducati Slide Control (DSC) and is also the first ever Ducati superbike to be equipped with Ducati Power Launch (DPL), along with the Engine Brake Control (EBC) seen on previous versions. The bike uses carbon fibre in its construction exhaustively with the monocoque frame, swingarm and wheels made of the ultra-strong and light material. Keeping all this explosive power under control is a newly calibrated Bosch Cornering ABS system that guarantees strong braking in complete safety. The 1299 Superleggera is delivered with a track kit that includes Ducati performance components such as a complete titanium Akrapovič racing exhaust, racing screen, plate holder removal kit and mirror replacement plugs amongst other accessories. Ya, we just can’t stop drooling!